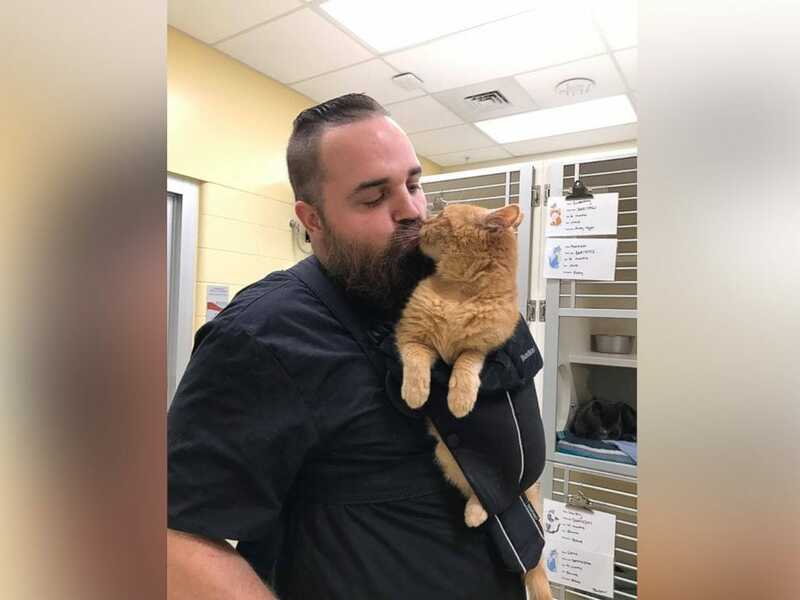 The feline was extremely friendly and adored getting hugs, giving Robert Weimer, one of the staff members, the idea to try out Dougie in an infant carrier. Dougie was surrendered to the Animal Refuge League of Greater Portland (Maine), when his family felt he would get better care. 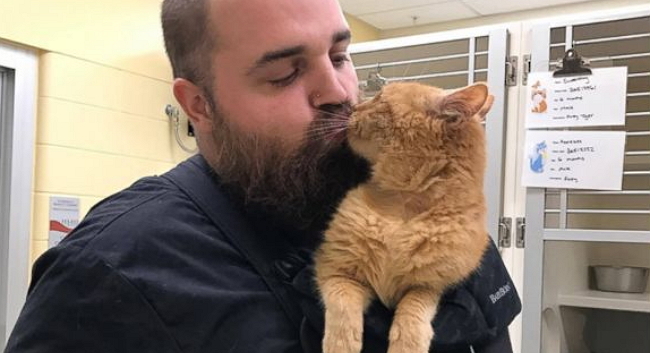 After receiving treatment for his digestive issue, the 15-year old cat was put up for adoption. The feline was extremely friendly and adored getting hugs, giving Robert Weimer, one of the staff members, the idea to try out Dougie in an infant carrier. The photos proved so popular, that people came into the shelter to visit with Dougie, many of them adopting some of the other cats who were also waiting for forever homes.